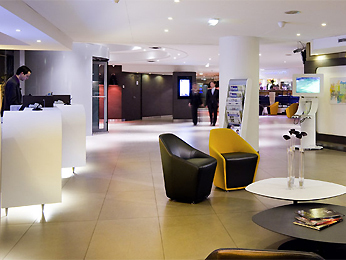 Located just a few miles from the capital, choose the Novotel Paris Rueil Malmaison hotel. Fourteen modular meeting rooms are available to help ensure a successful business trip. For a romantic weekend or a family getaway, relax in the comfortable rooms with their sleek design. Sample French cuisine in the restaurant and unwind at one of the musical evenings. Whether you’re exploring the Château de Malmaison or shopping on the Champs Élysées, enjoy a relaxing trip to Paris at Novotel.